Donna Huston Murray's eight cozy mysteries feature a woman much like herself, a DIY headmaster's wife with a troubling interest in crime. 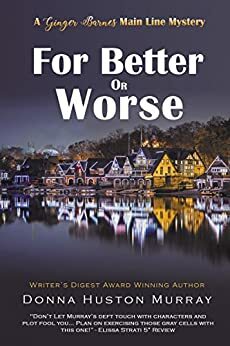 The latest Gin Barnes mystery, FOR BETTER OR WORSE, has been shortlisted for the Chanticleer International Mystery & Mayhem Book Award. 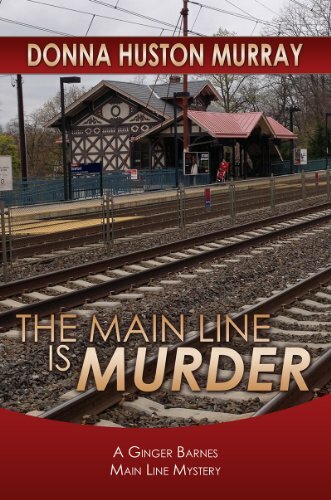 FINAL ARRANGEMENTS, set at Philadelphia's world famous flower show, achieved #1 on the Kindle-store list for both Mysteries and Female Sleuths. 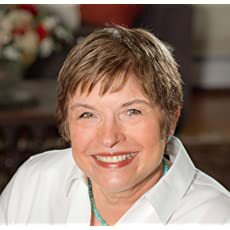 The first in Murray's new mystery/crime series, WHAT DOESN'T KILL YOU, garnered Honorable Mention in the 23rd Annual Writer's Digest Self-Published Book Awards. At home, she assumes she can fix anything until proven wrong, calls trash-picking recycling, and, although she should probably know better, adores Irish setters. Donna and husband, Hench, live in the greater Philadelphia, PA, area. FREE ebook for joining Donna's "Mystery Guest List." Get yours HERE. WHEN HER HUSBAND becomes head of struggling Bryn Derwyn Academy, Ginger Barnes learns that murder on the campus can kill a school's reputation in a heartbeat. To move the scandal off the front page before the school goes under, Gin uses her Mop Squad job to nudge the investigation along. Will her amateur sleuthing save her husband's job and her family's new home, or will her good intentions backfire and land them all on the street? 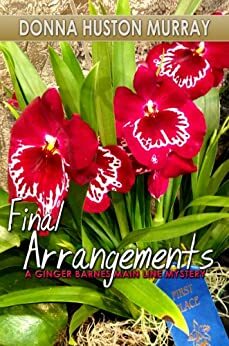 FIERCE COMPETITOR Iffy Bigelow gets herself strangled at the world-famous Philadelphia Flower Show, and if she ever wants to hear the end of it, Ginger Barnes must unearth whoever killed her mother's dear old friend. The biggest problems: hundreds of suspects, and a tough inner-city cop Gin once attempted to protect from a kindergarten bully. Det. Mills would prefer not to accept her help again. A HOME INVASION turns to murder when Ginger Barnes's neighborhood friend comes home at the worst possible time. Thefts and threats and wild accusations swiftly follow, and Gin's protective, head-of-school husband cautions her to leave the investigation alone. Then elderly eccentric Letty MacNair gets mugged on her doorstep, and the message is clear---anyone could be next. A few tactful inquiries couldn't hurt and just might help. But is that all Ginger Barnes has in mind? ON THE HEELS of a nasty divorce, a dog trainer is blamed for her ex-husband's suspicious death. Evidence suggests she programmed their jointly owned guard dog to attack the prominent diet doctor, but did she? 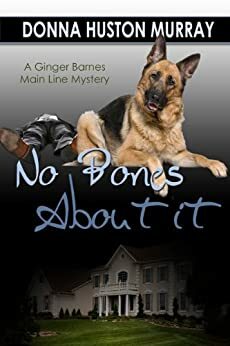 As the accused is being led off to jail, she begs her friend and sometime sleuth, Ginger Barnes, to save the champion German shepherd's life, an assignment that demands nothing less than the whole truth. 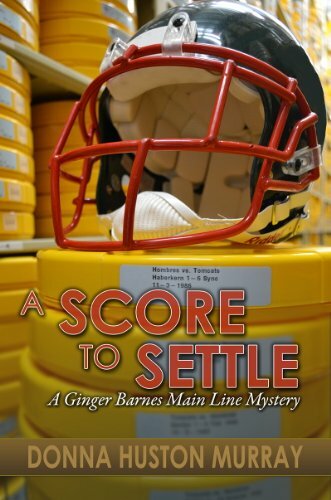 WHEN THE MURDER of an NFL quarterback endangers her family, savvy football fan and sometime-sleuth, Ginger Barnes, rushes to Norfolk, VA. Terrified that her husband will be accused of killing his longtime rival, Gin's cousin Michelle has been hospitalized to save her pregnancy. No amount of hand-holding or take-out food will do. Gin must tackle the suspicions head-on to save an innocent life. #6 & #7 Reissued soon! FINALLY BACK to her spunky self after the loss of her husband, amateur sleuth Ginger Barnes faces her greatest challenge---MEN! Men who mistreat their wives, men suspected of murder, and men who ask her out. In her husband's eyes, Cissie Voight can't do anything right. Gin occasionally helps the frazzled young mother, and when she needs a dresser carried upstairs, Gin brings Eric along. Bad move! The electricity between the two new acquaintances sparks a chilling premonition. This time Gin's good intentions may produce grave consequences---for everyone involved.